What are the causes of sickle cell anemia? Sickle cell anemia is basically an inherited disease and there can be variable causes of sickle cell anemia. People who suffer from sickle cell anemia usually inherit sickle cell gene from both parents. Sickle cell gene makes abnormal hemoglobin in the body. 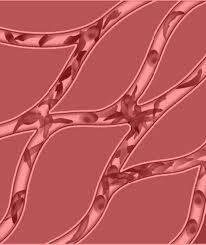 After the delivery of oxygen to the body hemoglobin molecules sticks together, which resemble liquid fibers. Due to the clumps of hemoglobin, red blood cells become sickle shaped due to stiffness. These sickle shaped red blood cells get stick to the walls of blood vessels thus, hindering the blood flow. If only one copy of sickle cell anemia is inherited to offspring from one parent then the individual will not suffer from sickle cell anemia disease unless there are other medical complications as well.